Namibia’s women entrepreneurs looking to take their businesses to the next level gathered in Windhoek on the morning of Tuesday 20th November for the first Lioness Lean In event in the country. 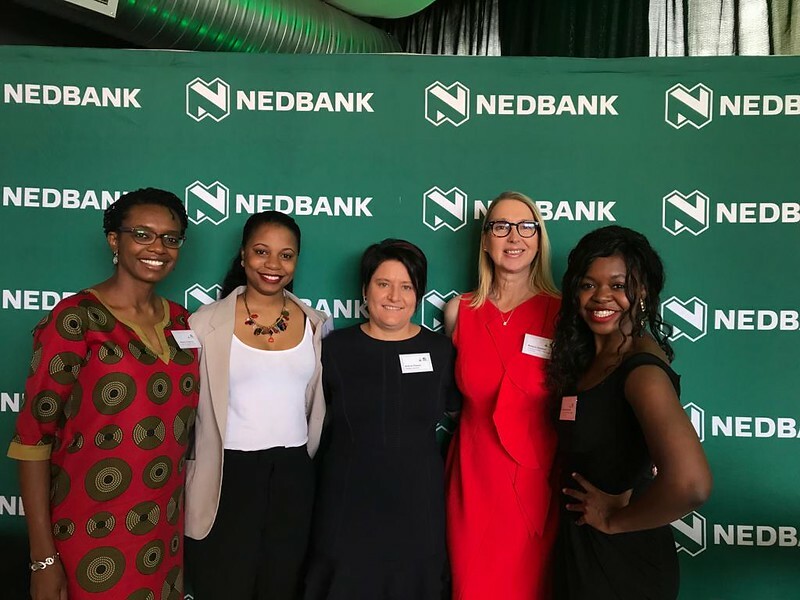 The much-anticipated event was hosted by Lionesses of Africa in partnership with Nedbank Namibia - and it lived up to its promise of being a morning of inspiration and great business networking. The Maerua Rooftop Restaurant at the Maerua Office Tower, Maerua Mall in Windhoek welcomed an audience of over 70 leading women entrepreneurs from the city for the Lioness Lean In event, an occasion for sharing, inspiring and connecting for greater business success. The morning’s programme commenced with breakfast and networking, with women entrepreneurs getting the opportunity to meet one another, make important connections, and open up new business opportunities. The event programme then formally got under way with a vibrant welcome from host and MC for the morning, Melanie Hawken, founder and ceo of Lionesses of Africa. Melanie presented an overview of the work of Lionesses of Africa and its vision to empower and support 1 million women entrepreneurs across the African continent. She also shared some of the major initiatives currently being rolled out by Lionesses of Africa across the African continent and also plans for the remainder of the year ahead, including some initiatives that will support Namibia’s women entrepreneurs in particular. Highlights on the programme included three guest speakers, all successful women entrepreneurs from Namibia, who shared the very personal stories of how they launched their businesses and how they have built them into the vibrant and growing businesses they are today. The speaker lineup included Sandra Mwiihangele, founder and ceo of natural beauty product manufacturing company, Kiyomisandz; Melissa Mukaiwa, co-founder of Nica Creative and founder & ceo of Just Breathe; and Nangula Shejavali, co-founder of Leading Edge Management Consultants. Nangula took the opportunity to launch an inspirational and informative new book, published with co-founder Claudette Nahum entitled ‘Follow Her Lead’, to attendees at the event as part of the regular Lioness Launch section of the programme. Lionesses of Africa Founder and CEO, Melanie Hawken, then returned to the speaker podium to announce some exciting new initiatives that will benefit the women entrepreneurs of Namibia. These include subscriptions to the Lionesses of Africa free daily newsletter, Good Morning Lionesses; the free weekly digital magazine, The Mix; the weekly Lioness Radio Show; plus access to showcasing new businesses and products on Lioness CoLab, a platform to promote new products and services being created by collaborating fellow women entrepreneurs. Also, Lioness Launch, a platform dedicated to helping women entrepreneurs to digitally launch their new products and services into the marketplace across the African continent through the Lionesses of Africa community. Finally, as part of the morning’s programme, the Lioness Launch Open Mike session gave the opportunity to 6 women entrepreneurs from Windhoek to be invited to pitch their businesses, products and services in 1 minute to the audience. Each of the entrepreneurs will be featured on the Lionesses of Africa platforms over the coming month to showcase their businesses and products to the entire network across the African continent. The morning’s event wrapped up with a prize draw featuring two beauty product gift bags donated by Kiyomisandz, two copies of the Follow Her Lead book, and a host of gifts from Nedbank Namibia, for lucky winners in the audience. The networking carried on long after the formal proceedings ended, with plenty of new business connections and friendships made. Lionesses of Africa will be returning to Namibia in early 2019 to roll out its ongoing programme of Lioness Lean In events for women entrepreneurs across the year.